EAT, DRINK, DANCE, AND BE BASQUE! Aromas of savory traditional Basque dishes wafting down the block, robust red wines flowing freely, cold hard cider splashing into glasses, musicians' fingers flying wildly along accordion buttons emitting tunes that can only inspire happiness in your soul, graceful and athletic dancers displaying their strength and agility in a joyful celebration of life...these are a few of our favorite things. 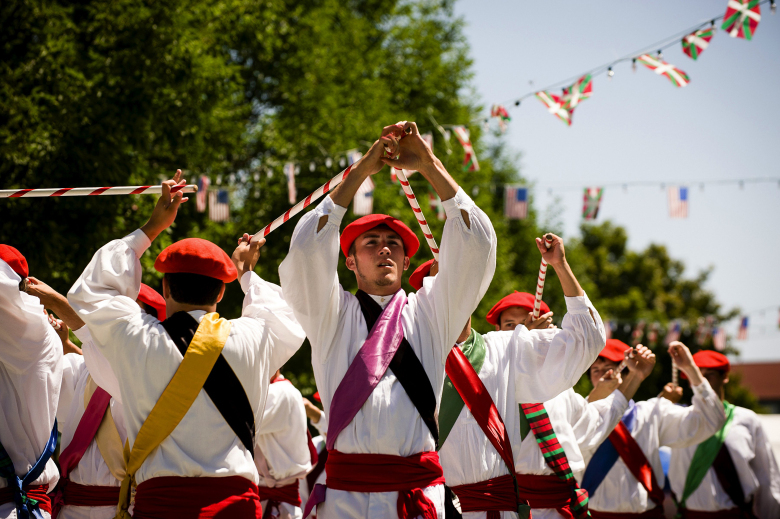 If you have ever been a part of a Boise Basque festival - you already know how fun it is to eat, drink, dance, and be Basque, and we enthusiastically invite you to join us again. If you read this and thought to yourself "man I wish I knew about this before! ", we invite you to join us for a summer warm-up event! Just one week before we kick off our annual San Inazio festival we will be hosting a Basque Block Party with food, drinks, and dantza. THURSDAY, JULY 19, 2018 - 6:00 P.M. 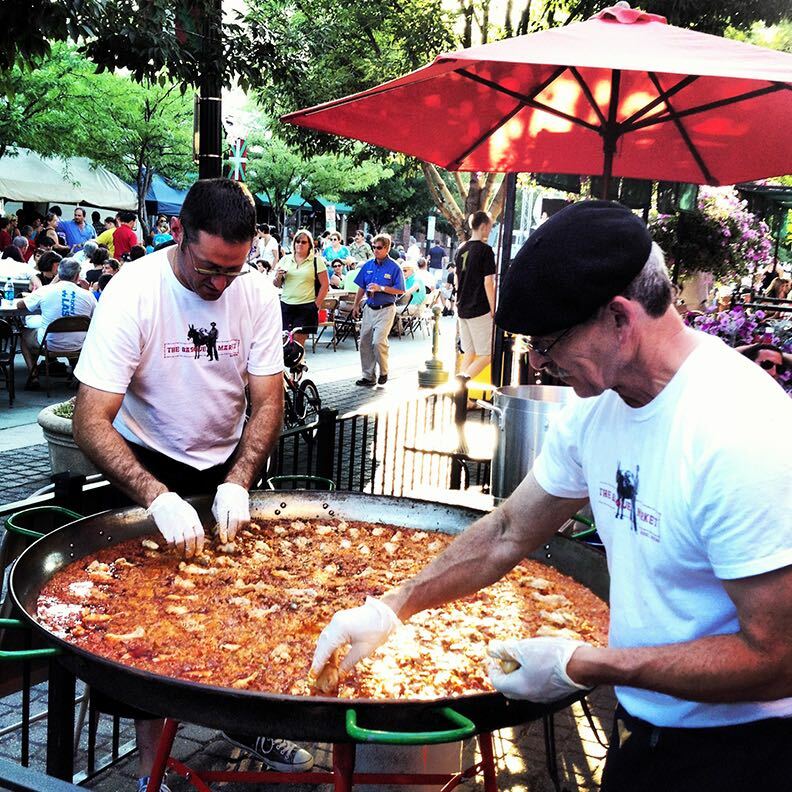 Ticket to this event includes, pintxos, paella dinner catered by The Basque Market, a performance with the Oinkari Basque Dancers (Boise, Idaho) and Goizaldi Dantza Taldea (San Sebastian, Basque Country), and an after dinner street dance! Alcoholic beverages are available for purchase. Don’t miss out on the exclusive Basque Cider on tap and frozen sangria! Check in on 6th and Grove St.
Dust off your dancing shoes and stay for a while - live musicians will ignite the evening with traditional Basque dance music. Whether you are a beginner or an accomplished dancer we invite every guest to join us for a sunset street dance - we will go until they kick us out!